As previously stated, my husband and I decided to try to toilet train our cat, Max, to eliminate the litter box in our trailer. 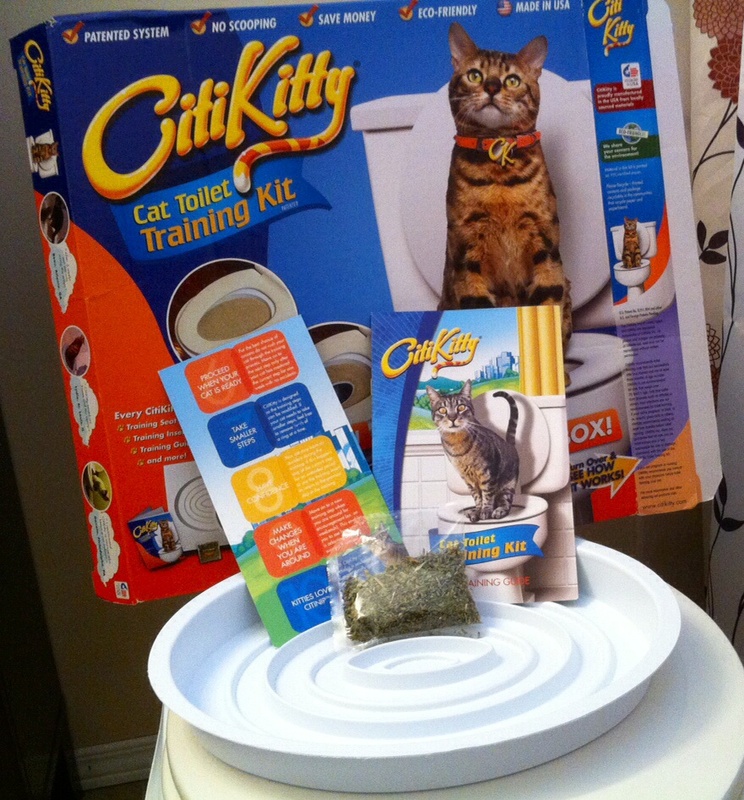 In order to help us with this endeavour, we purchased the CitiKitty Cat Toilet Training Kit. A month in and this is our progress so far! The first step in the toilet training process is to gradually move the litter box to the bathroom in which you will toilet train your cat. 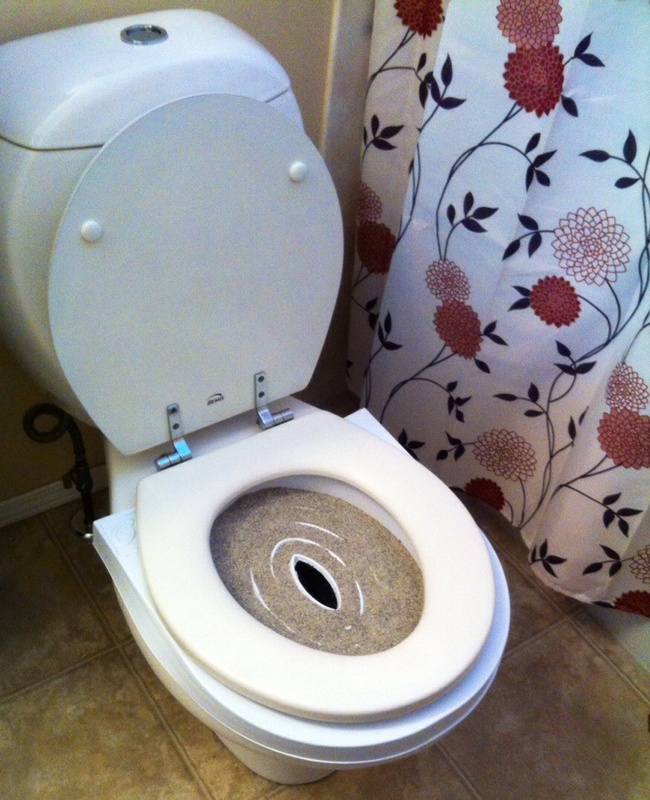 Once you arrive to your destination, you then need to gradually raise your litter box to the level of the toilet and then directly on top of the toilet. Our cat graduated from this stage – let’s call it preschool – with ease. The second stage in the toilet training process is setting up the toilet training kit on the toilet with flushable cat litter. Our cat did his business in or on the training kit all week-long. Kindergarten graduation ceremony ensued. 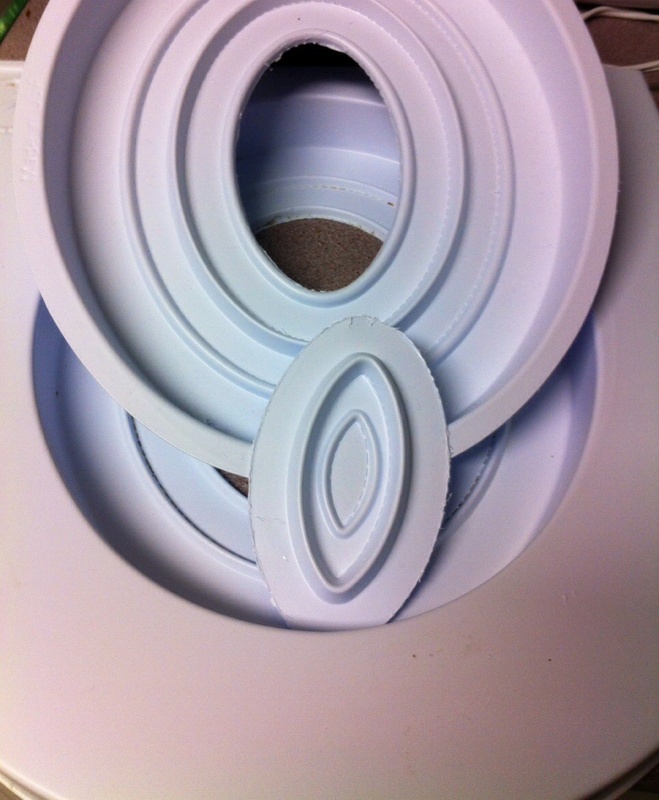 After a week, it was time to cut the first ring out of the toilet training kit. He successfully deposited his deposits into the toilet training kit all week. Being that we are two weeks in at this point we are feeling enthusiastic about the process. The cat is gradually graduating from level to level without any issues. 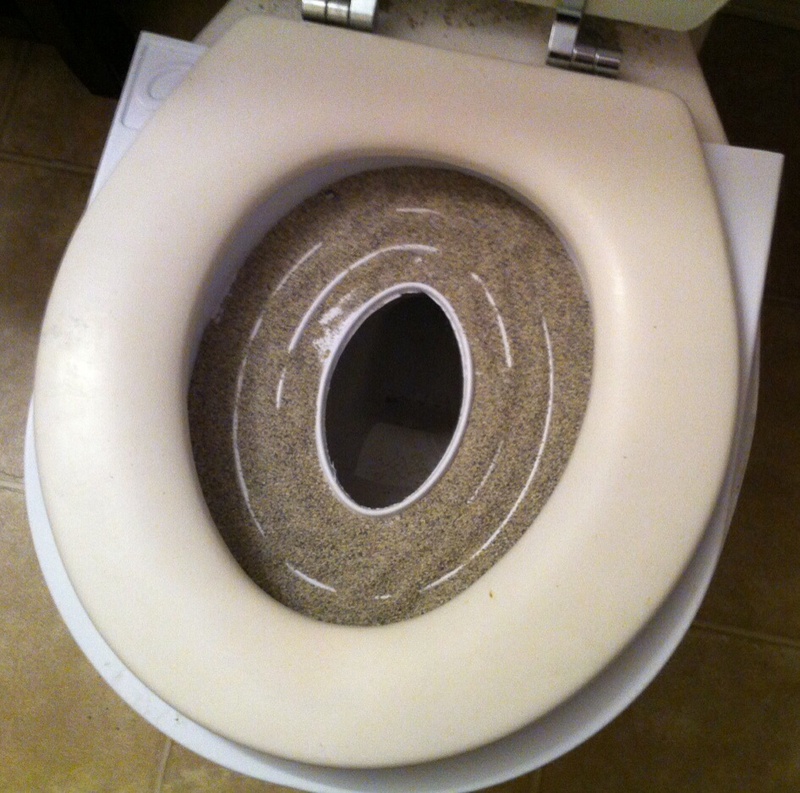 The main issue that we see with the toilet training kit is the messiness that comes with a cat who likes to bury his business. The cat scratches around in the litter that is in the kit and gets all over the toilet and the floor. Small price to pay in our mind. Junior high brings about two less ring. All is going well, except now that the whole is bigger now and we cannot keep track of suppositories. We haven’t found any accidents so we trust all is going well. 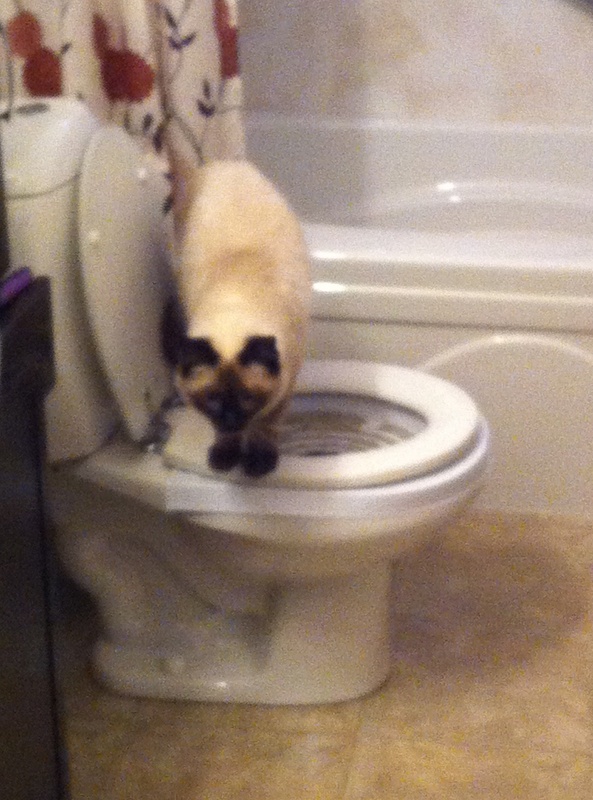 Max getting off the toilet! My husband removing some rings with a steak knife. Until a trip to a storage room reveals a few days worth of dirty-jobs. He is still peeing on the toilet, he is just having problems pooping in the right spot. 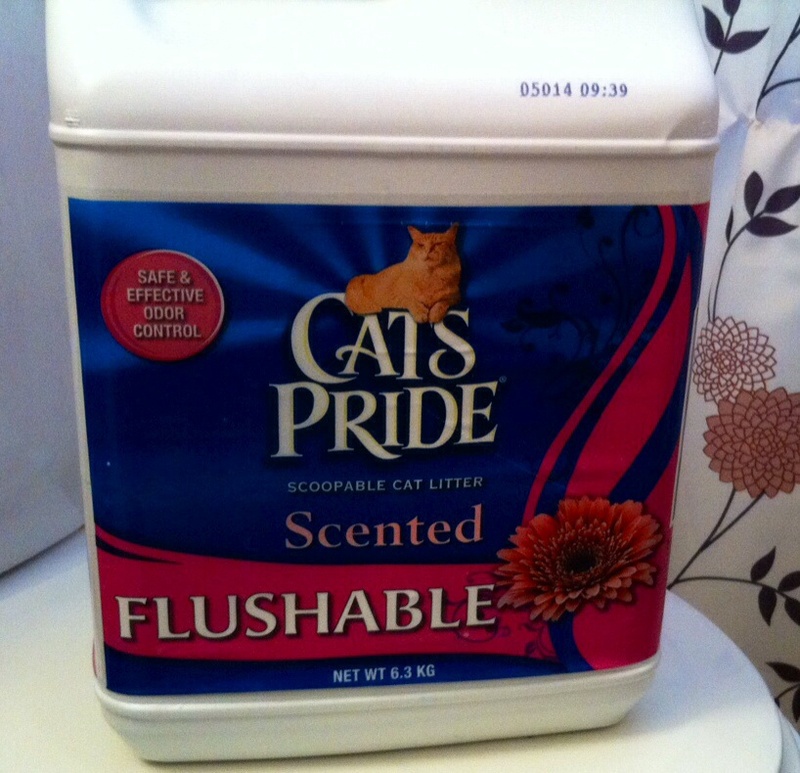 After a hazmat cleanup my husband and I start a battlesh*ts war over whether or not to scrap the whole idea of toilet training our cat. 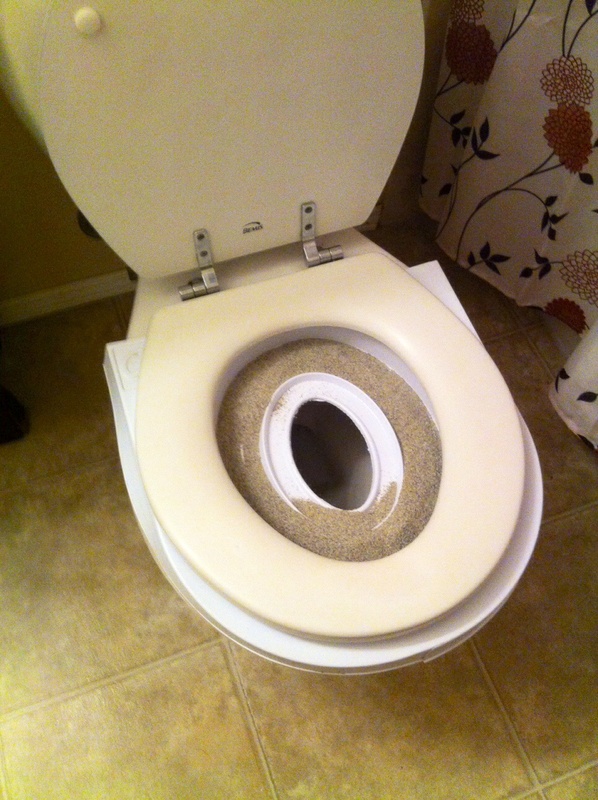 We cannot tolerate a cat pooping in our house, so after some research we decide on a plan. We place one of his parcels on the toilet training kit to see if it entices him to do his business on the toilet again. Day 1 – no such luck. 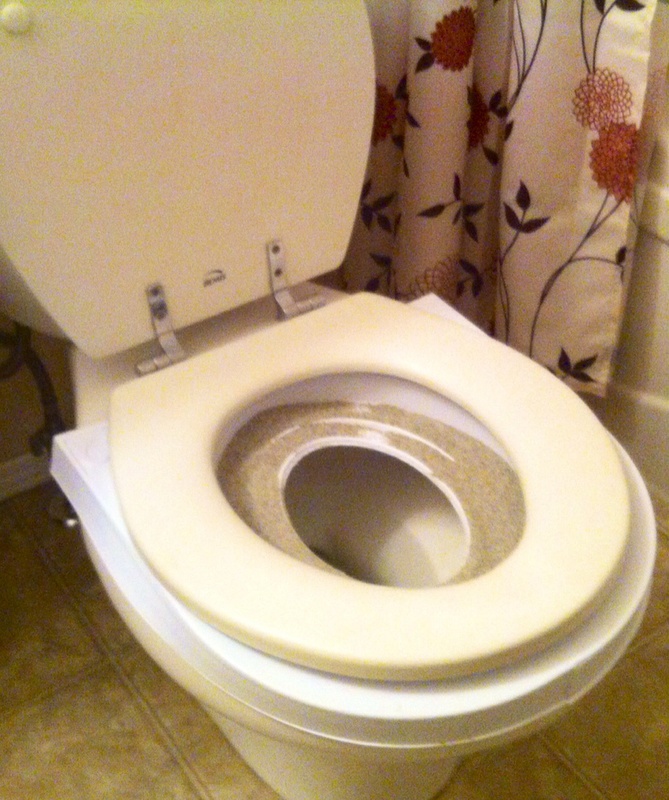 Day 2 – during a trip to the bathroom, I placed the toilet training kit on the floor. The cat took this opportunity to poop in the kit, but on the floor. A light bulb goes off…. He knows where to poo, but why is he avoiding the area? 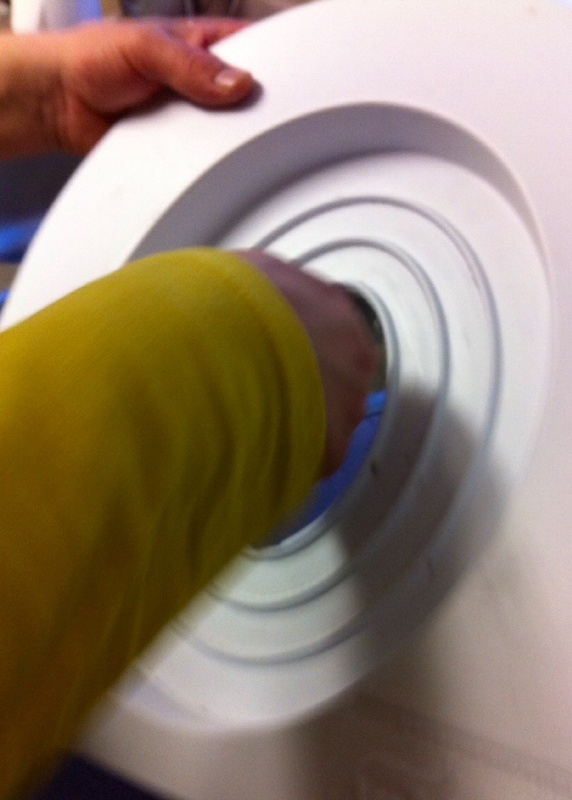 Perhaps we moved too quickly with removing rings and he is intimidated by the size of the whole. Size does matter you know. Luckily the CitiKitty kit comes with an additional tray. So, I trimmed the tray to the level that we were at just before the accidents started. Let’s see what Day 3 brings. Ring repair job with the spare tray. My toes and fingers are crossed that we do not have to bring the litter box back. We really really want to make this work. It has been so nice not having to change a litter box. It would be even better if we could convince Max to use it 100% of the time. We are looking forward to a high school graduation and I’ve already ordered the cake. Dropping out is not an option! 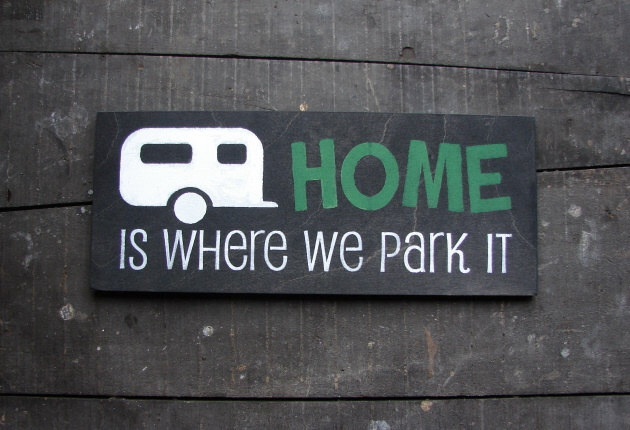 This entry was posted in Our Camping Stories and tagged Camping, Cat, Cat Litter, CitiKitty Cat Toilet Training Kit, flushable cat litter, Litter Box, Poop, RV, Toilet Training, toilet training kit, Travel Trailer. Bookmark the permalink.